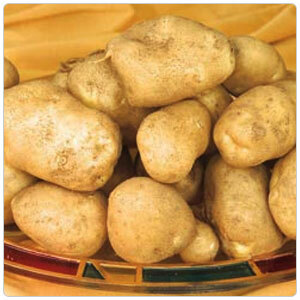 These are great all-purpose potatoes, known for their yellow flesh, creamy texture, and buttery flavor. Yukon Gold potatoes make an excellent substitute, but they are not as sweet as Yellow Finn potatoes. Yellow Finn potatoes have the right balance of sugar and starch to make excellent mashed potatoes, gratins, gnocchi and salads.